Mother who lost an eye during dental visit now campaigns to save others. 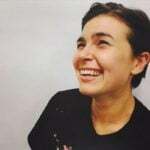 A woman who lost her eye after an accident at the dentist is now campaigning for mandatory eye protection during visits. Jenn Morrone from South Jersey in America visited the dentist in 2013 for a root canal procedure, when the needle used to numb her mouth suddenly slipped and fell into her eye. Morrone was rushed to receive treatment but the eye became too heavily infected from the bacteria in her mouth to be saved. The American Dental Association and Centers for Disease Control and Prevention highly recommend eye protection is used during dental visits but it is not legally required. Morrone is now three years into a campaign that seeks to change that so accidents like hers don’t happen again. Morrone told CBS her life has forever changed because of something that was preventable. “This was 100% preventable, what happened to me,” she said. Source: Morrone sharing participants of her social media campaign #jennsvisionsunglassesselfie. Source: Instagram. It has become incredibly important to the young mother to raise awareness around this unregulated practice. “I want you to tell friends, tell your family, anyone who goes to the dentist, which is pretty much everybody, when you go, you have to wear eye protection,” she said. Morrone launched an awareness campaign across social media under the banner of: Jenn&apos;s Campaign. Morrone also launched a safety campaign that encourages individuals to wear sunglasses to the dentist as even unofficial protection is better than none. 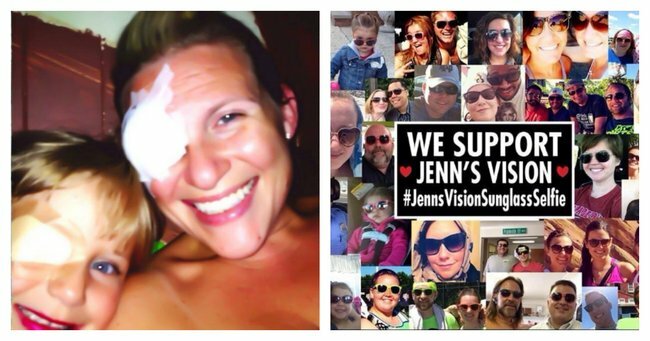 The campaign was supported with the viral hashtag: #Jennsvisionsunglassesselfie. Let&apos;s keep our learning caps on and find out more about our thyroids.